Enhance the thrill of the game of bingo with our contemporary style flashboards, now available with a brighter, whiter LED lighting option! 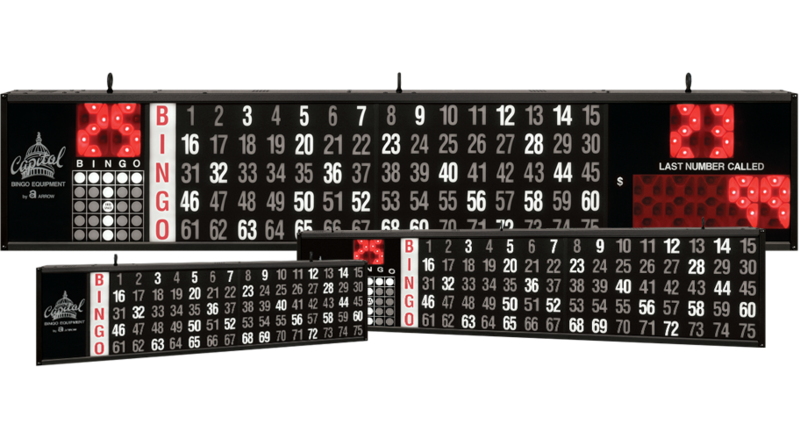 With more features, the latest technology, and the largest variety in the industry, our bingo flashboards will meet the needs of any game! Give your players that WOW factor in your hall! Choose from Dollar Value, Game Indicator, and Numbers Only models available with 4 inch numbers. Most of our flashboard models are available with 2 inch and 8 inch numbers as a custom build option. With our contemporary style and LED lighting, Access Flashboards easily outshine the competition. User-friendly operation makes Access Flashboards the preferred choice of operators everywhere. Sliding acrylic panels allow for easy service. Recessed handles allow for easy transport and installation. All of our flashboards have a long lasting, high quality paint finish and build-in eyebolts for easy hanging. Choose from a variety of flashboard models. 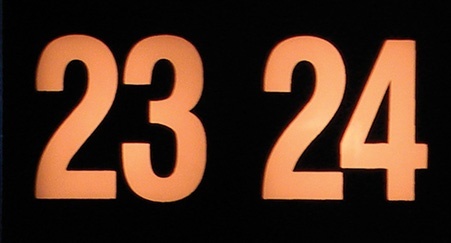 The Numbers Only flashboard makes it easy for players to identify what to play by flashing the last number called. Sliding front acrylic panels provide for easy access for service. 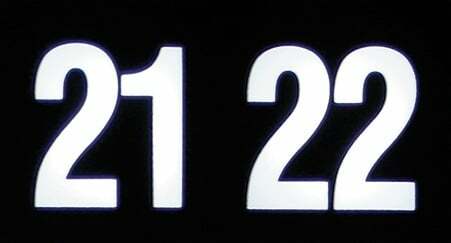 In addition to flashing the last number called, the Game Indicator flashboard displays game patterns and the game number or the total number of balls called. 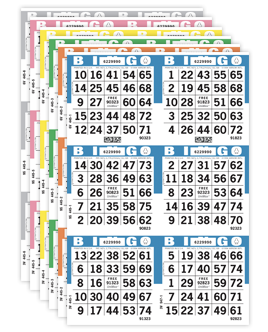 The Dollar Value flashboard includes all the great features listed above, with the addition of built-in displays for dollar value prize payouts and the last number called. Arrow's 4" Tear-Opens™ and Bonanza® flashboard has a distinctive blue acrylic, high-contrast background, and is specifically designed to be played with our Tear-Opens and Bonanza® bingo paper. Already have one of our Capitol 4" Access flashboards? We offer the Tear-Opens blue acrylic panel as an add-on to your existing unit. Brighter, whiter lighting for your bingo hall! Don't wait until someone asks you, "why doesn't your flashboard light up like all of the others?" Our LED lighting option gives flashboards a newer and brighter appearance, making them easier to read — your players will notice the difference immediately! And the best part? You save money with the longer lifespan and lower power consumption of the LED bulbs.